Krystyna hasn’t really decided what she wants to do after high school. She may continue her education at Trition for two years then move on to a university. 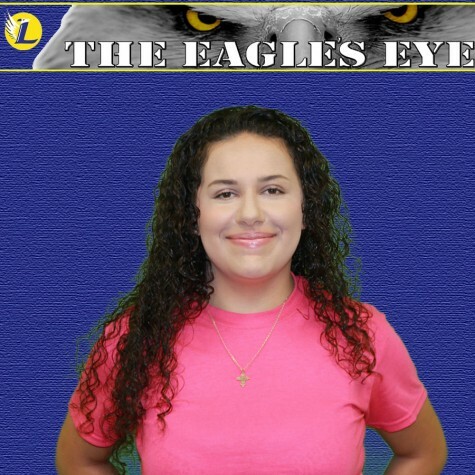 Krystyna feels that Leyden has taught her many valuable lessons and she thinks that she’ll do great things after high school. Lazy Krystyna or Crazy Krystyna? Krystyna said the only thing she did this summer was sleep or walk. If she wasn’t sleeping she was walking miles. She said her favorite thing to do besides sleep is walk. They both ease her mind a bit. Krystyna once walked 7 miles this summer just for the fun of it. More than likely if you don’t address Krystyna as Princess Krystyna she probably won't respond to you. Krystyna has always been treated like a princess. She is the youngest and only girl of three. She’s also very smart in school which makes her family want to spoil her more.